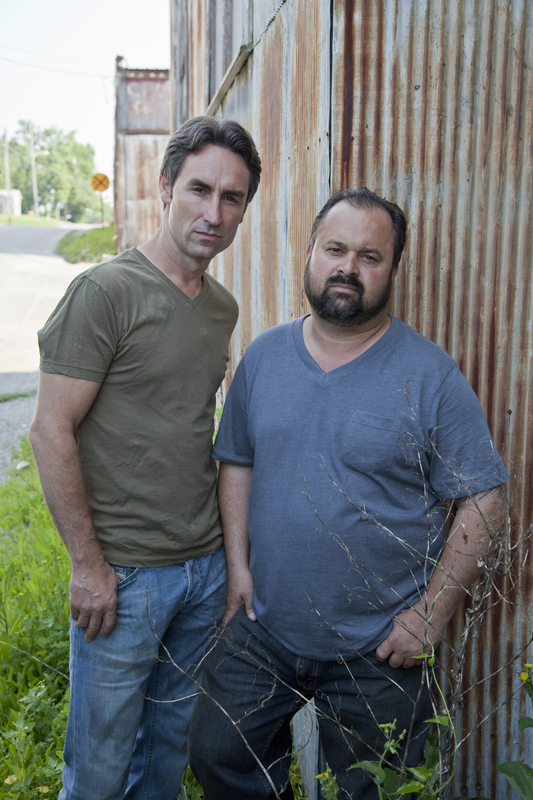 Are American Pickers' Mike and Frank gay? Married? Are American Pickers’ Mike Wolfe and Frank Fritz gay? On the popular History Channel show American Pickers, Mike Wolfe and Frank Fritz make a business of traveling around the country in search of hidden gems. What they don’t make a business of is talking about their personal lives. In fact, during the show’s four seasons, the men have only sparingly spoken about their families beyond appearances by Mike’s brother and Frank’s mom. Even their official History Channel biographies steer clear of any personal details. We spoke with Danielle Colby, the Antique Archaeology office manager who co-stars with Mike and Frank. She confirmed she’s heard the rumors, but just gets a kick out of them. “Ya know the whole are they gay, aren’t they gay thing really just makes me laugh,” Danielle says. “If Mike Wolfe was gay, he would shout it from the roof tops and probably be the most fabulous gay man who ever lived! It would actually be really good for his career if he was,” Danielle adds, laughing. Damn! Danielle is more frank than Frank! Still, discovering the truth about Mike and Frank’s personal lives takes a bit of digging. (Seems appropriate for an American Pickers story, right?) But in the end, both Mike and Frank’s personal lives are just like their pickin’ styles in that they play it straight. 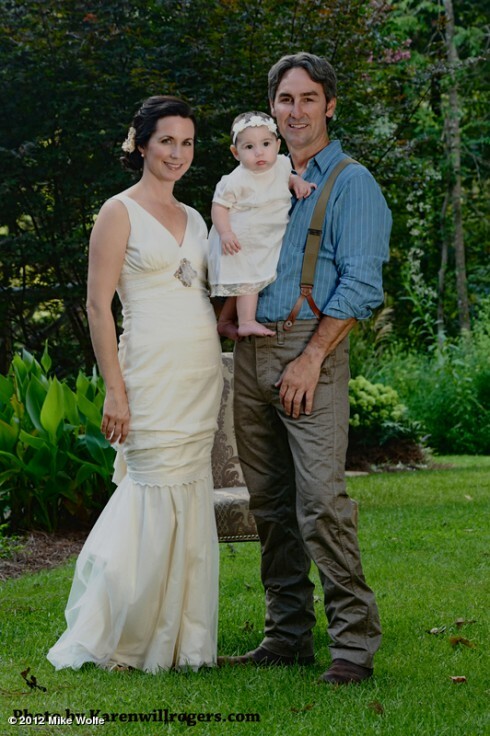 Mike Wolfe, the owner of Antique Archaeology, married his long-time girlfriend, Jodi Faeth, in September 2012. The previous year, both Mike and Jodi participated in an interview with the New York Times. Described as a laid-back accountant, Jodi said she has always accepted Mike’s love of picking… In fact, her only gripe is when Mike turns around and sells her favorite pieces. 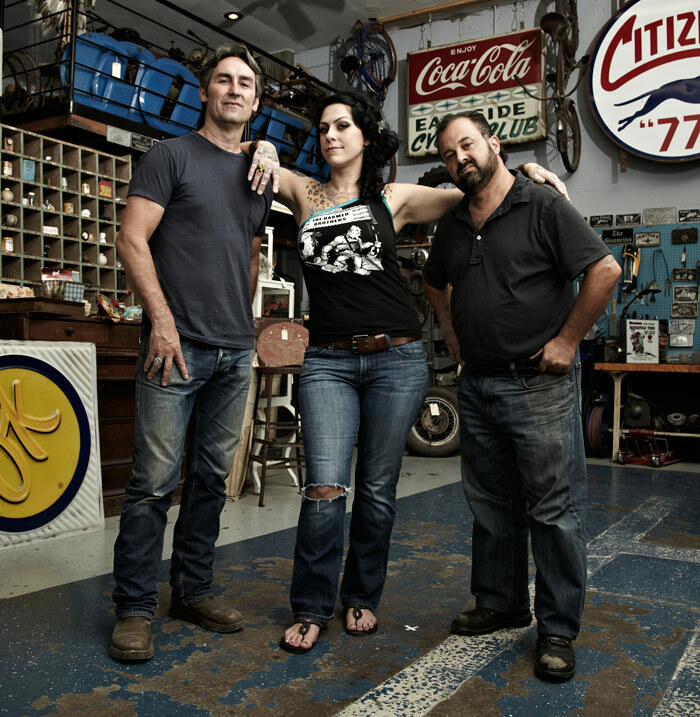 “I’m happy to say things have changed and pieces are staying around longer,” Jodi said, adding the success of American Pickers has helped. Even before marrying, Mike and Jodi were a family: They welcomed their first daughter, Charlie, in January 2012. Recently, Mike wrote his first children’s book, Kid Pickers, which he promoted on Good Morning America with the help of Charlie. In addition to picking, Mike recently became passionate about Operation Smile, a charity that benefits those unable to afford facial deformity surgery. The cause is near and dear to his own heart, as Charlie was born with a cleft lip and cleft palate, which was repaired at Vanderbilt’s Children’s Hospital. Frank, on the other hand, guards his personal relationships a little bit more closely. He’s officially a bachelor, but has reportedly been in a long relationship with a mystery woman who has intermittently been referenced on the show. However, Frank seems to embrace the single lifestyle, which he has said allows him to be a better picker. Even though he’s fond of women, the Bearded Charmer’s most devoted relationship is with Arby, his beloved cat. “Hanging out with Arby today. My favorite pick… 12 yrs ago I picked him out of about 45 cats,” Frank recently wrote on a Facebook photo of Arby. Be sure to catch Mike and Fritz as they platonically traverse the countryside finding great junk and even greater people on new episodes of American Pickers airing Monday nights on History at 9/8c!